Walking trousers are hardly the most exciting of products to be talking about, but they do make up a key component to your outdoor wardrobe. Get it wrong and you’ll have to endure an uncomfortable day out in the hills. So what are you looking for in a new pair of walking trousers? 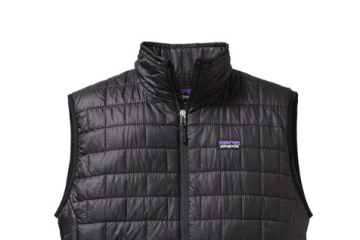 Well, for spring, summer and autumn use, you’ll want something that finds a compromise between comfort and durability, while not costing the earth. It has to allow for a great range of movement (particularly if you are planning on some scrambling) and we like to see deep pockets that swallow up your essential items with ease and keep them secure with a zip. 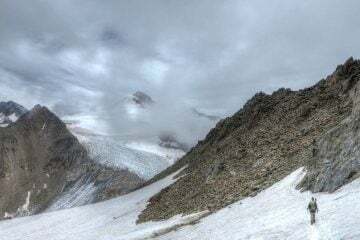 Ventilation zips are ideal for summer use (such as on these stunning hikes), while ankle adjustments allow you to secure a close fit over your boots, keeping out the wind and avoiding the worst of the mud. With that all said, it’s time to get stuck into the thick of it. 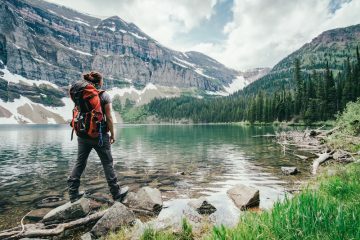 Below, you’ll find nine of the best men’s walking trousers, or you can find the best women’s hiking trousers here. My first ever pair of walking trousers were from Craghoppers, and since then I’ve always been impressed by the accessibility and quality of the brand’s gear. 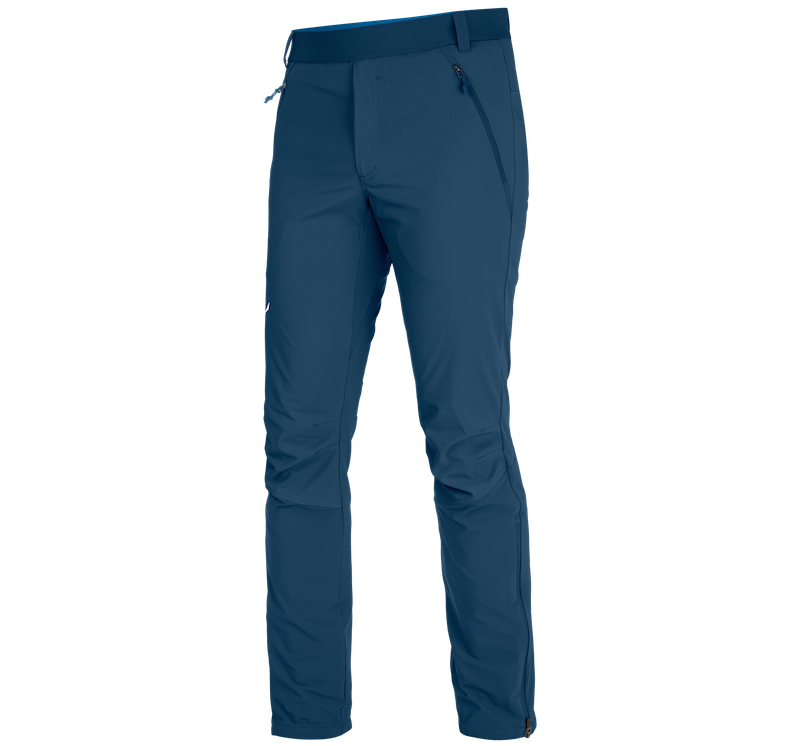 At £50, the Kiwi Pro Trousers are the cheapest in test, yet they hold their own against some that are far more expensive. Everything these trousers do, they do well. The stretch material ensures comfort and a good range of motion, while the myriad of zip pockets (two on the sides, one on the thigh and one on the rear) offer fantastic storage. They come with a water and sun repellent (UPF 50+) finish, dry quickly and handle a lot of tough treatment. It’s worth noting that they are quite tailored at the knee, which some people might not like, and you’ll want to try a few on to make sure you get the right size. They were a little tight on me in my normal size and I found the regular length to be slightly short (I’m 6’2”). Extra features such as ventilation zips and ankle toggles would have seen these trousers given top marks, but that shouldn’t take away from the fact that these are reliable trousers that represent great value. In a line: At that price, what more could you want? As soon as I pulled these walking trousers on, I thought ‘wow’! The material is so comfortable against my skin I’d never want to take these trousers off. A combination of polyester and elastane ensures a four-way stretch that allows for a glorious range of movement that will enable you to explore unhindered. What’s more, it’s water/stain repellent and offers an impressive amount of protection against the sun (UPF 50). I found they ran a little small on the waist compared to what I normally experience, and they do sit quite closely around the thighs, which may not be to everyone’s liking. The length of the trousers is more than adequate, and there are hem toggles on both ankles, which will allow you to cinch the trousers in around your boot tops. Additional features include a bunch of decent-sized zip pockets (one at the rear, one on the thigh and hand pockets on either side). While the material is incredibly comfortable, it’s worth noting that it’s quite thin, so durability won’t be as substantial as options such as Fjällräven’s Keb or even the Craghoppers option. 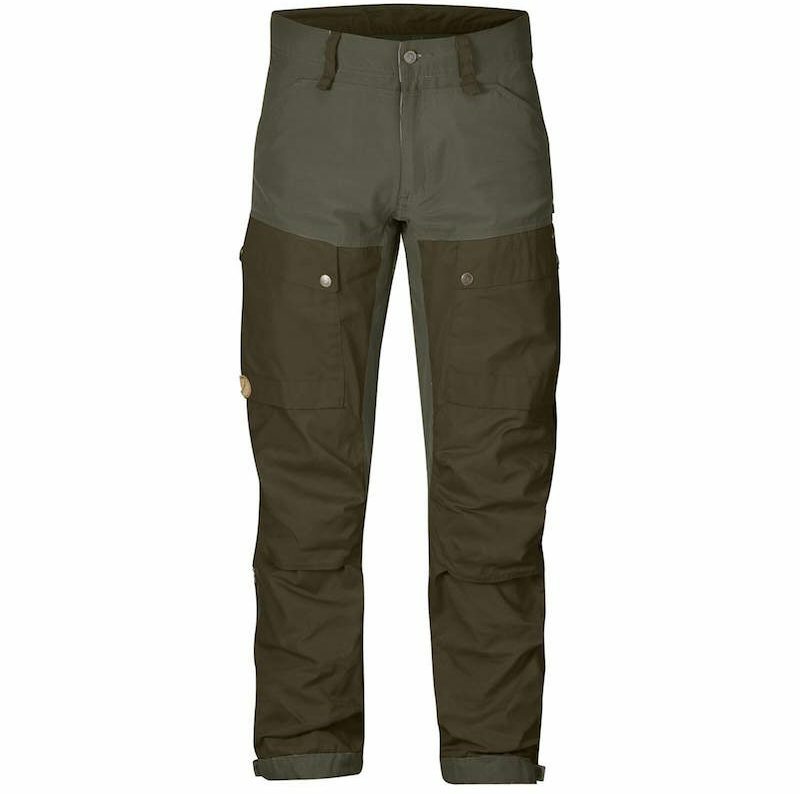 That aside, the Triple Canyon Trousers are stylish, offer great value and should transcend seasons well. 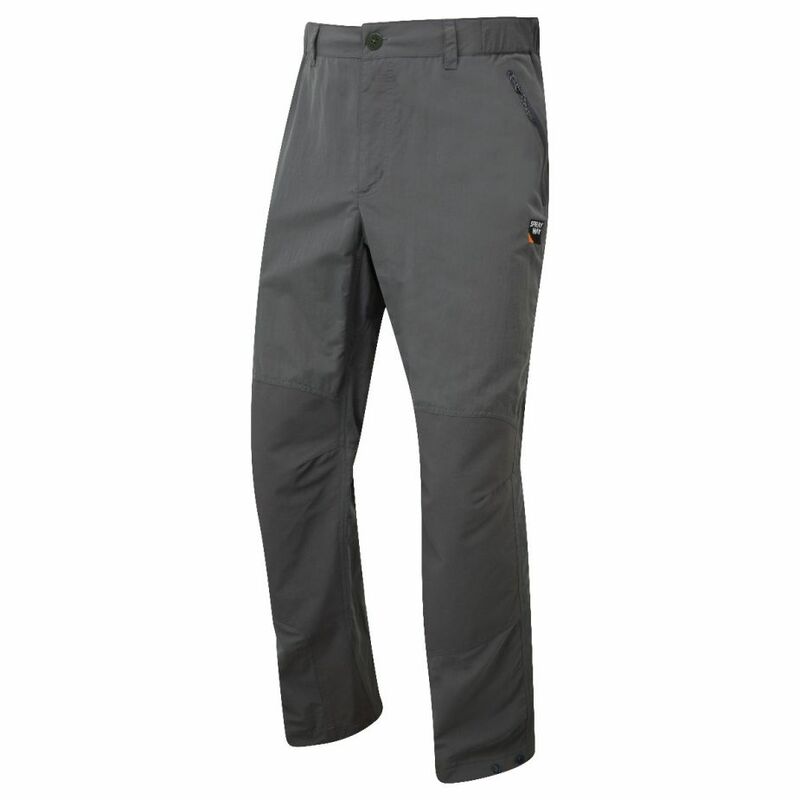 In a line: The Columbia Triple Canyon Trousers offer great value and are super comfortable. Best budget buy. Sprayway has been manufacturing quality walking gear for over 40 years, and it shows in the Compass Hybrid Pant we have on test here. The trousers are made from two different types of fabric, with a more durable material being used on high-wear areas such as the knees, inside leg and the rear. 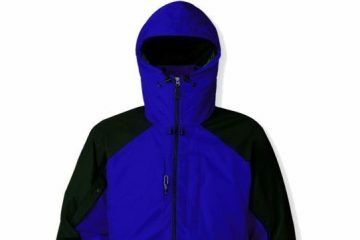 Both materials have a water repellent finish and a UV rating of UPF 50+. They don’t have quite as much stretch in them as some of the other trousers (such as the Salewa and Patagonia options), but with the help of articulated knees, we found they provided a good range of movement in most scenarios. The only time you are likely to feel a bit restricted is if you are doing some serious scrambling. That aside, these are comfortable trousers to wear, which is made especially so by the crescent waistband with a tricot lining next to the skin. You’ll find two generously-sized zip handwarmer pockets on the front, and while this may sound like a limited amount of storage, they held everything I needed them to. I was also a big fan of the ventilation zip on the right hand leg, allowing for temperature regulation on warmer days. 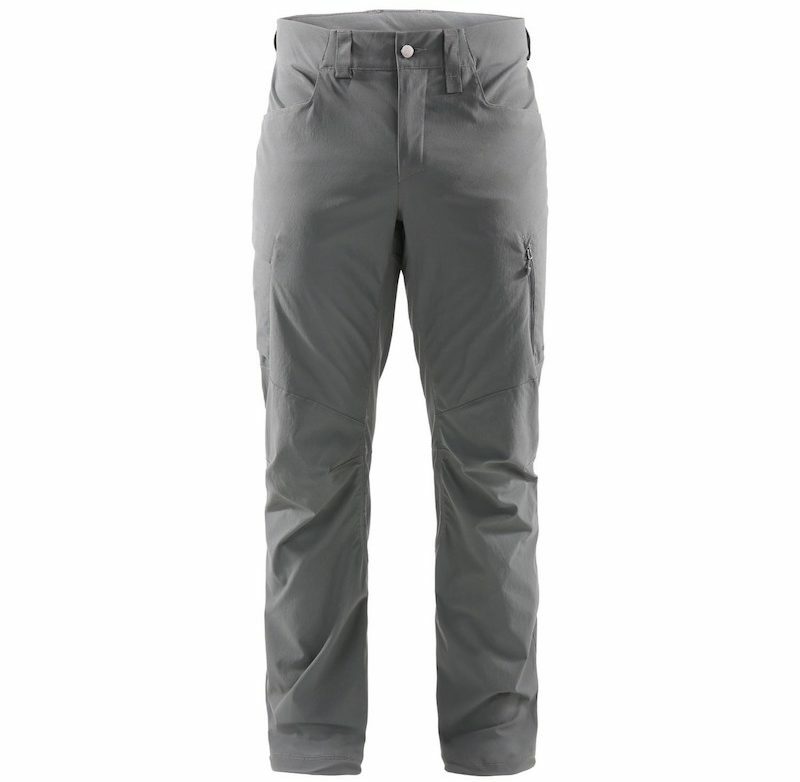 In a line: The Sprayway Compass Hybrid Pant is a reliable piece of kit for walking in the hills. Highly recommended. 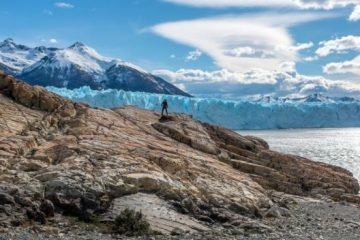 In Patagonia’s Quandary Pants, we have another pair of trousers that offers a substantial amount of stretch due to its combination of nylon (62% of which is recycled) and elastane. This not only results in a fantastic range of movement, but it also makes for a very comfortable wearing experience. The material is also sun repellent (UPF 50+) and has a durable water repellent (DWR) finish. They come with quite a slim profile (especially on the rear), which may not suit everyone, but it wasn’t close-fitting enough to bother me. Overall, this makes for a smart appearance, and I could easily see these taking a spot in my duffel while travelling. Feature-wise, you’ll find two deep handwarmer pockets, a zip thigh pocket and two pockets on the rear (one of which is zipped), offering plenty of storage. There is no hem toggle at the ankles, but you can choose from three different lengths of leg. It’s also worth bearing in mind that the material is quite thin and, as there are no reinforced areas, high wearing parts such as the knees and rear may not be as durable as some other options here. 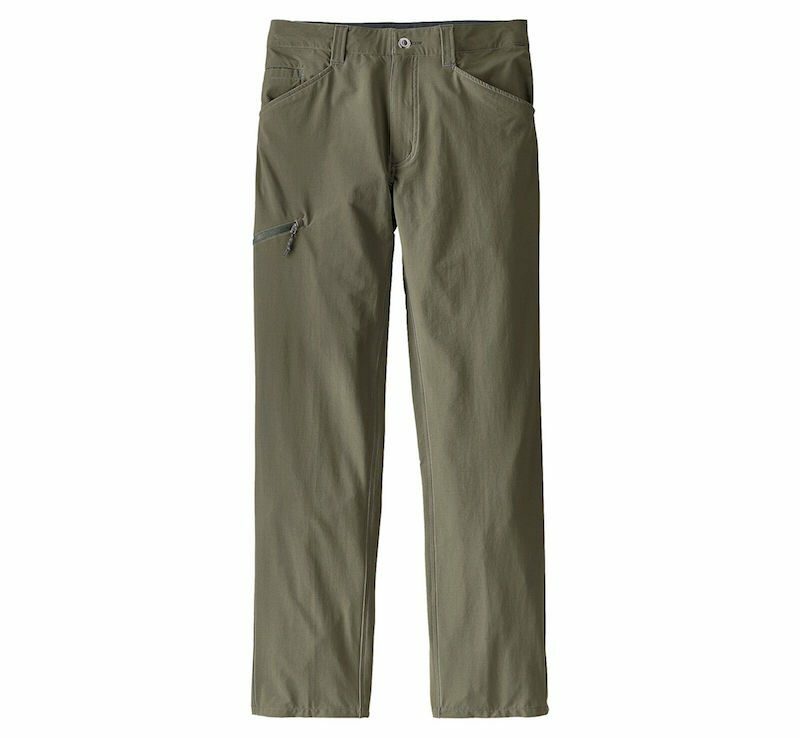 In a line: The Patagonia Quandary Pants are a comfortable pair of lightweight walking trousers with a fantastic range of movement. 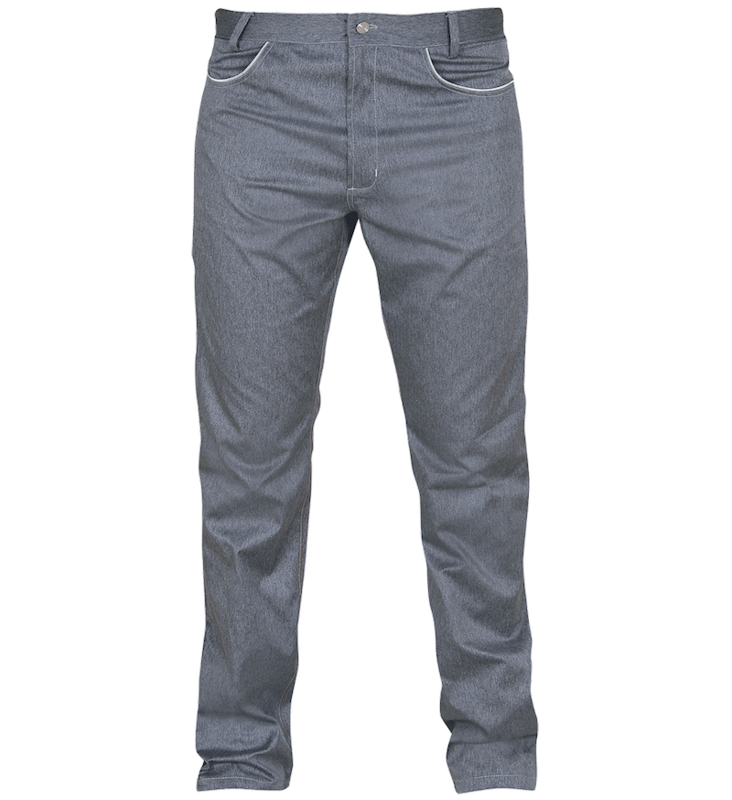 They are constructed from Nikwax Denim, a durable, weather repellent and sun resistant (UPF 50+) polyester that is both quick drying and stretchy, to help with range of motion. The stretch is certainly needed, as these trousers have quite a slim profile, especially in the upper echelons of the garment. At this point I’ll note that this may not be to everyone’s liking. In terms of features, you’ll find two jean-style pockets on the front and two on the back. Considering these trousers are aimed at people hiking, travelling and embarking on various other activities, I would have liked to have seen some more secure zip pockets as well. Moving on, I was pleased to see a venting zip on each trouser leg, and I am also glad to report that they fit true to size, though they were a little on the short side for me (I’m 6’2”). In a line: If you like the style, why not? It’s remarkable quite how much the sizing differs across brands. Whereas some of the others seemed to come up rather tight, the Outdoor Research Voodoo Pants fit much looser around the waist, and I would need to wear a belt with them (of which, one is not included). Apart from that, the fit along the leg is very good. They are constructed of a mix of nylon and spandex, meaning there is a great amount of stretch on offer, and the range of movement is brilliant. This meant for a very comfortable wearing experience on the whole. The only thing that bugged me was that the thigh pocket seemed to itch on the inside, but this might not affect everyone. As with most trousers these days, the Voodoo will shed light rain, but nothing heavier. They’re a good option for warmer conditions as they are quite lightweight and breathed well, too. Feature-wise, they could have done with a belt, while the front two pockets are far too shallow to store anything securely. The alternative is the deep thigh pocket, but anything relatively heavy bumps around while you’re walking. The addition of ankle adjustments would have been welcome, and for £100 you would expect more. In a line: The Outdoor Research Voodoo Pants are a very capable pair of walking trousers that are held back by a few shortcomings. The Haglöfs Fjell Pant is a lovely bit of kit. It’s comfortable to wear and the fit is spot on for me, running true to size. A large part of this comfort comes as a result of the Climatic stretch fabric that has been used in the trousers’ construction, which allows for a free and unhindered range of movement. Articulated knees only enhance this further. As the fabric is constructed of polyamide and elastane, it offers a good level of durability, so I wouldn’t be concerned when walking through dense undergrowth or scrambling up to a rocky summit. The material has also been treated with a fluorocarbon-free DWR coating, meaning it repels water and dirt. I found the there to be a good range of pockets (two jean-style pockets on the front, one on the back and two thigh pockets, one of which is zipped), but the ones on the front are a bit too shallow for me if I’m being honest. One feature I appreciated was the cord-adjustable leg cuffs, allowing you to get a better fit over your boots. If you can get past the pocket situation, the Fjell Pant is a great option that will perform just as well in spring, summer and autumn. 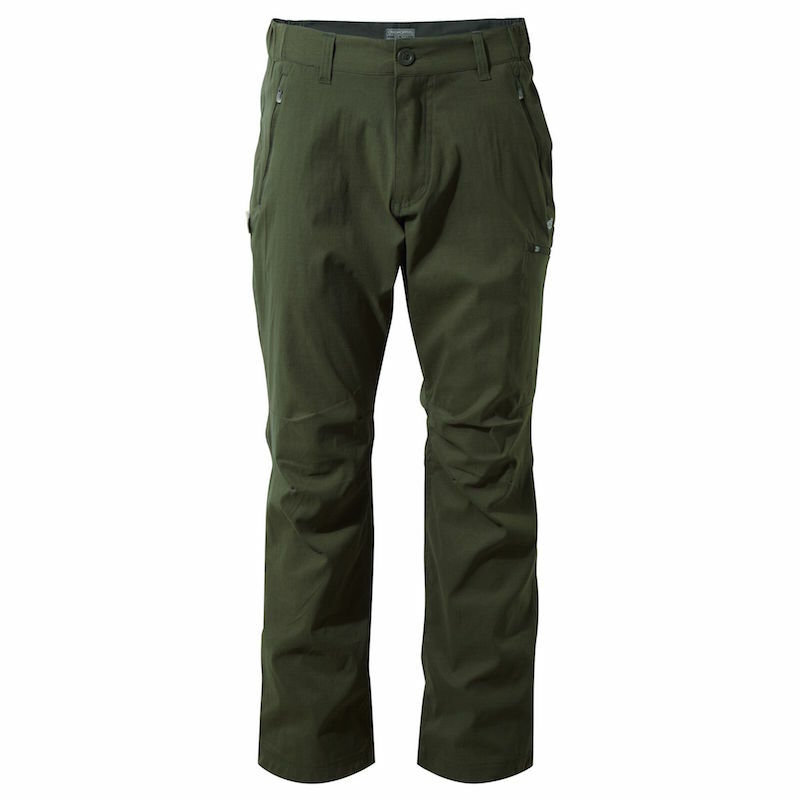 In a line: The Haglofs Fjell Pant is a well-designed pair of walking trousers that transcends seasons. These trousers may not be cheap, but they certainly belong in the mountains, where they’ll do a fantastic job if you let them. The Pedroc Hybrid Pant is billed as a lightweight pair of trousers for hiking and moving fast and in our experience, that’s what they’re good for. 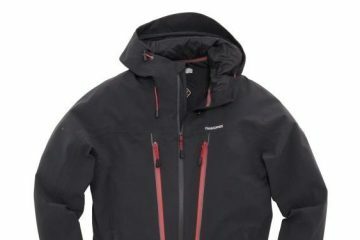 They are made out of Salewa’s Stormwall softshell fabric, which has a DWR coating and excellent four-way stretch performance. The latter aspect ensures a brilliant range of movement and, combined with the flat elastic waistband, makes for a very comfortable garment. Having said that, be aware that these trousers come in an athletic fit, and they sit very close to your entire lower half. The material stood up to the trials and tribulations of the outdoors very well, and it is one of the most durable options on test. This comes at a cost in summer, as they can be rather warm to wear on a hot day, and there aren’t any venting options. Feature-wise, you’ll find two generously-sized zip pockets on the front, elasticated ankle cuffs, and lower leg zips to help see the trousers over bulky boots. 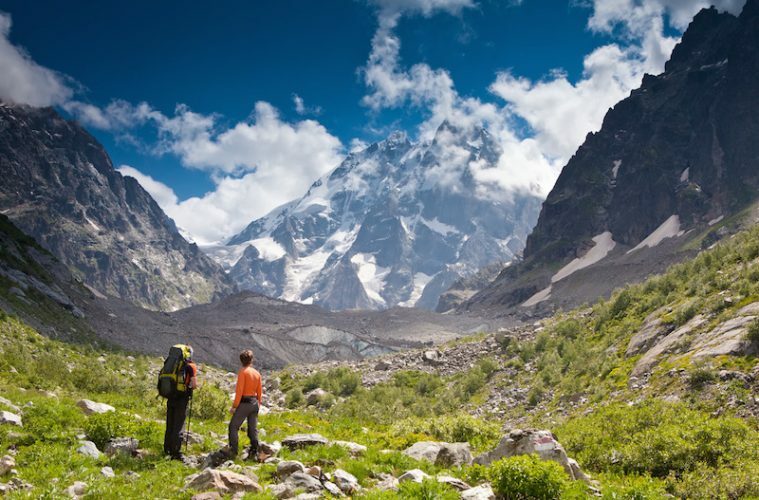 If you’ve got the money and plan to see some serious mountain action, these are a great buy. 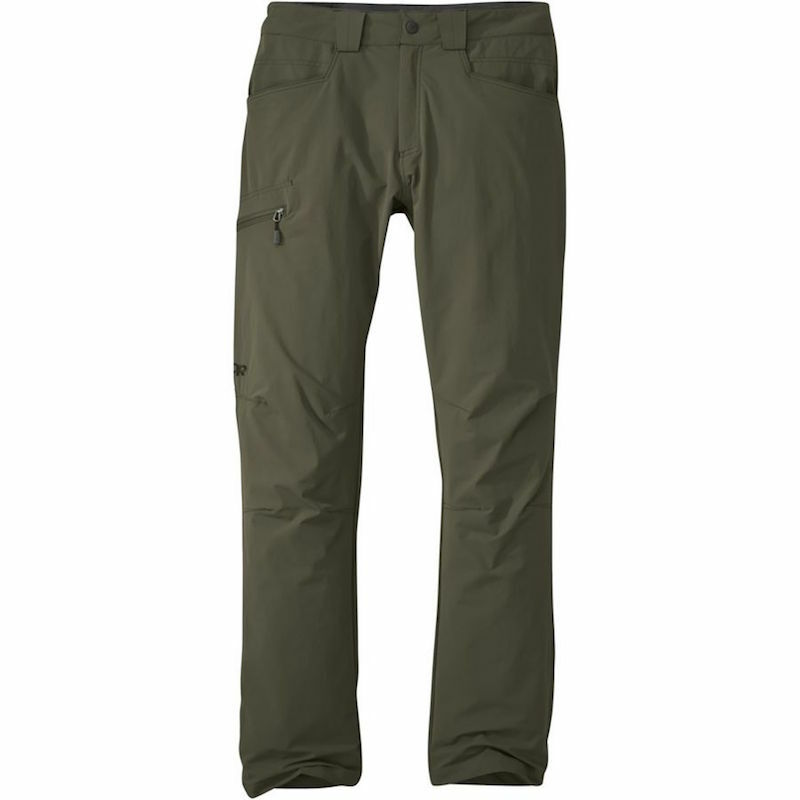 In a line: The Salewa Pedroc Hybrid Pants are walking trousers that will stand up to the toughest of tasks. Best in test. From the off, one thing is clear about the Fjällräven Keb Trousers: the quality that runs through them is exceptional. They have been designed for technical trekking in challenging terrain, and it’s certainly clear to see. Durability and functionality is at the centre of them, and much of this is down to the use of the brand’s G-1000 Eco material in the trousers. For extra longevity, high wear areas such as the knees and the inside of the ankles have an extra layer of fabric. 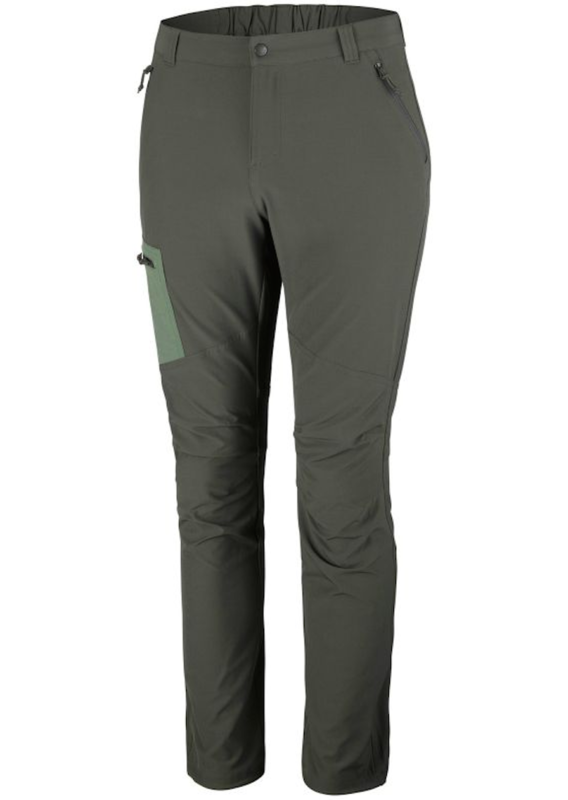 Parts of these walking trousers use G-1000 Stretch in order to offer a good range of movement, while articulated knees go some way to helping this out. I found them comfortable to wear, though they were a little on the larger side and weigh more then many of the other options on test. Of course, if you want super durable trousers, this is the price you pay. When it comes to features, you won’t be left wanting. There are two deep hand warmer pockets on the front, plus a cargo pocket on each thigh, one of which has a zip opening, while the other has a stash pocket for your phone. All of them are huge. Beyond that, you’ll find two venting zips on each leg and adjustable ankle cuffs. With so many features, you can understand why these are the most expensive trousers on test. In a line: The Fjallraven Keb Pants are rugged, fully featured walking trousers that are built to last.